I teach graduate and undergraduate courses on English words, English grammar, and syntactic theory. A motto for all my classes is that “grammar is not the enemy.” In most of my classes students will engage in a corpus-based research project and/or an outreach project (see Grammar Badgers for details). For course descriptions see below. 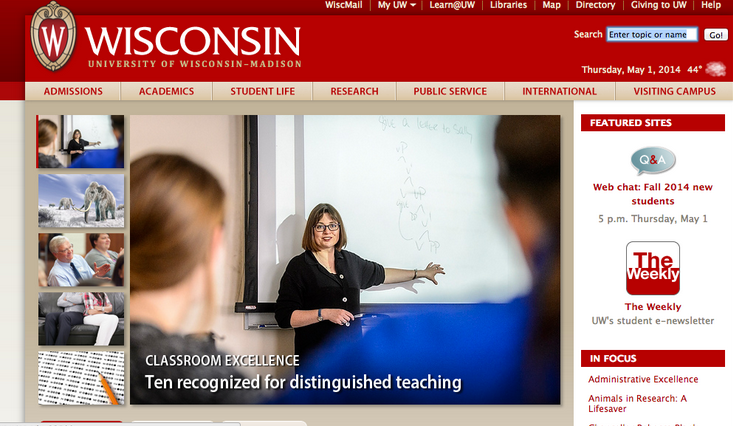 I’m a member of the University of Wisconsin-Madison Teaching Academy. 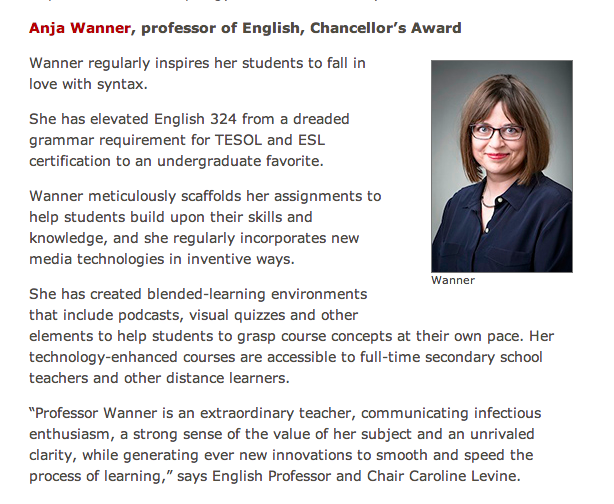 In 2014, I was honored with a Distinguished Teaching Award. This course introduces students to the study of English grammar from a linguistic perspective. Students will learn that grammar is not something external that is written down in a book, rather, it is something that is part of every speaker’s tacit knowledge about language. In this course, we will try to make some of that knowledge – also known as “competence” — visible. To that end, students will learn to apply linguistic terminology and methods to describe the structure of English words and sentences, both verbally and visually (in tree diagrams). They will learn to identify linguistic constructions and to analyze how they are employed in different text types. We will also discuss grammar-related aspects of language acquisition and language change. This is not an improve-your-grammar class! Class meetings generally are a mix of lecture, discussion, and problem solving. 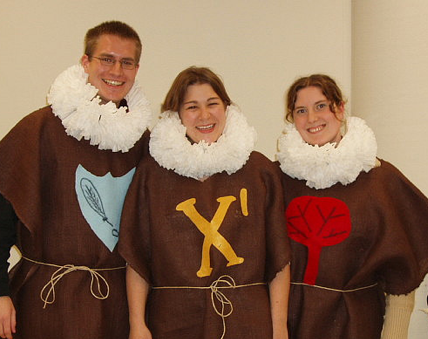 Students should expect to be called on in class and to participate in group activities. There is a required textbook for this class and readings will be supplemented with videos, podcasts, and other web resources, as well as chapters uploaded to Learn@UW. The reading load for this class is not high, but there will be daily analytic homework assignments, which may be just as time-consuming. 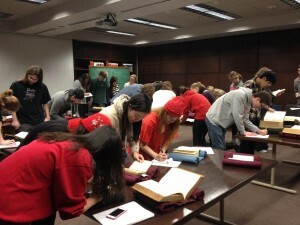 Assignments may vary for students from different audiences. Parts of the course use a blended format, which means that in-class time will be replaced by online activities. 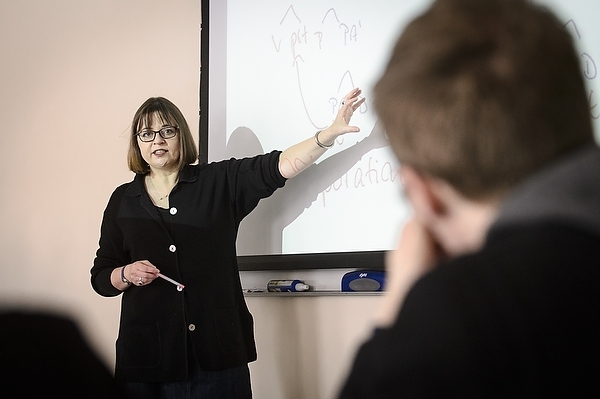 In this course we look at the role of grammar in constituting texts and at the choices speakers make when they express a state or event in a certain way. For example, in a letter of recommendation for a student I could say “This student is great, just great! You would be crazy not to give the job to her,” but chances are I will express my recommendation differently. Topics that we will explore include the differences between spoken and written language, the notion of politeness, the development of genres or text types (such as the scholarly essay, a letter of recommendation, or a sales pitch), and the awareness of linguistic norms. Everybody will engage in a data-based research project on the development of a particular text type or construction. Data will mostly come from linguistic corpora and written language (no previous experience in corpus linguistics necessary). The class will end with a poster presentation. Sadly, no tree diagrams. This class is a twofold extension of “The Structure of English” (English 314): We combine the analysis of sentences with an in-depth exploration of a particular theoretical framework, the Principles & Parameters approach to syntactic analysis, introduced by Noam Chomsky. Both data and analysis will be more complex than in the basic “Structure of English” course. For instance, we will look at infinitives (how do you know that in “He promised her to leave” he is the one who is leaving and that in “He persuaded her to leave” she is the one who’s leaving? ), relative clauses, resultatives, and particle verbs, and will contrast the generative approach with a traditional, more descriptively oriented analysis. One of the questions to be pursued is why certain structures are acceptable (grammatical) in English, while others – which look very similar on the surface – are not (compare “When did you say what she should do?” vs. “*What did you say when she should do?”). Each student will become the expert for one particular construction. Undergraduate students present on this construction in class (in teams of two), graduate students additionally write a paper on the construction. There reading load for this class is not heavy, but there are weekly analytic homework assignments. This course looks at the category “word” in English from different linguistic perspectives: While syntax is mainly concerned with words as parts of speech, morphology analyzes the internal structure of words (stems and affixes) and processes of word formation (derivation, inflection, compounding). We study why some forms are impossible (“hopefulness” vs. *”hopenessful”) and others irregular (is the plural of computer mouse “mouses” or “mice”?). From a psycholinguistic perspective, we examine what the difference between regular forms and irregular forms means for the acquisition and processing of words and how words are stored in the mental dictionary. We also look at historical and current influences on English vocabulary and spelling and at dictionaries as a source of standardization. 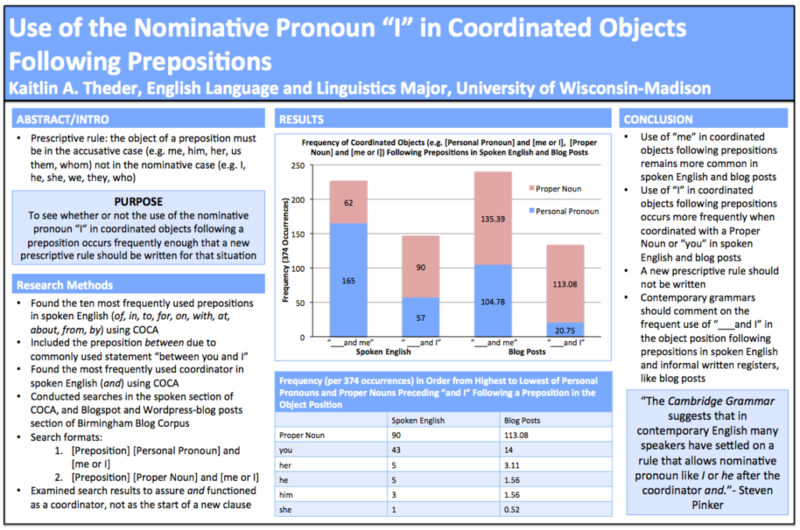 Projects for this class include a dictionary report and a “word a day” class blog. Students in English 420 explore old and new dictionaries in the Memorial Library’s Special Collection section. In this seminar, which is open to graduate students of any linguistic background, we will explore the vexed relationship between descriptive and prescriptive grammar. While the field of linguistics has long rejected prescriptive accounts of language use as irrelevant and damaging, the broader culture is fascinated with such accounts, even if they are brought forward by individuals who openly profess that they have no interest in the structure of language per se. In the spirit of Anne Curzan’s suggestion to “engage rather than dismiss” prescriptive voices in public discourses about language, we will discuss different forms of prescriptivism, the history of prescriptive grammar, as well as constructions that have been/are targets of such approaches. Everybody is expected to engage in a research project on a specific linguistic construction that has been singled out as an example of “bad grammar” as well as in a Wisconsin idea project geared towards the public. 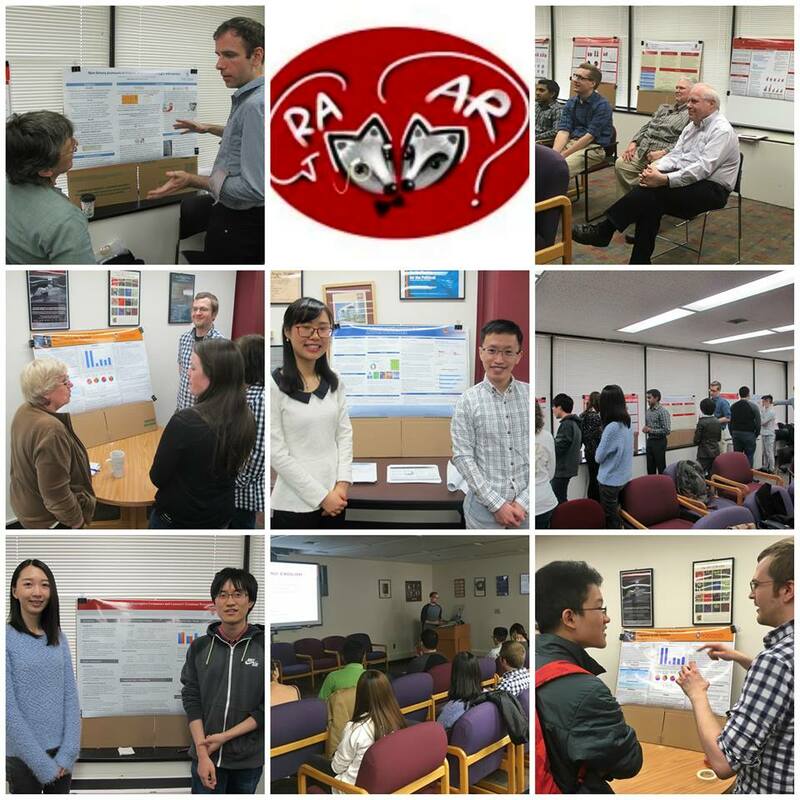 You will present your research at an end-of-semester student-organized symposium. Ideally, your work in this class will be the basis for a conference presentation. 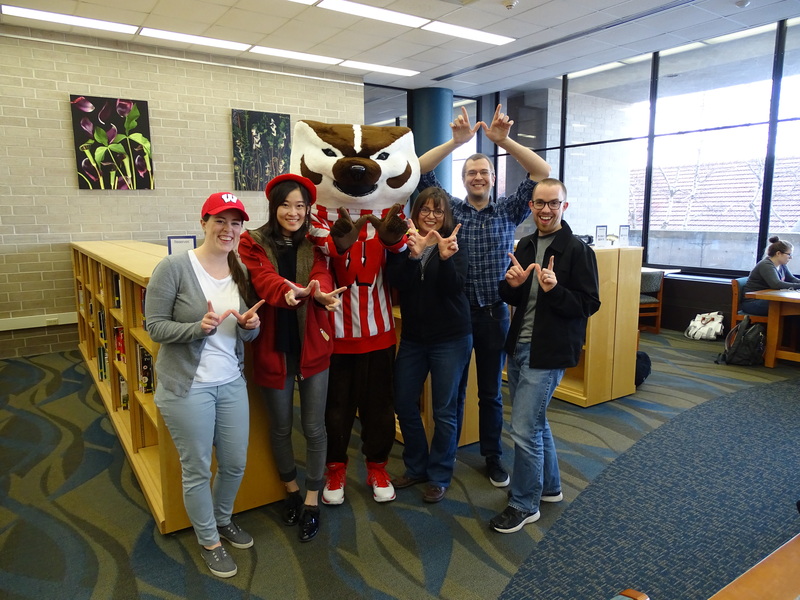 Filming with graduate students and Bucky Badger in the library for the Wisconsin Idea project (“Grammar Badgers”).